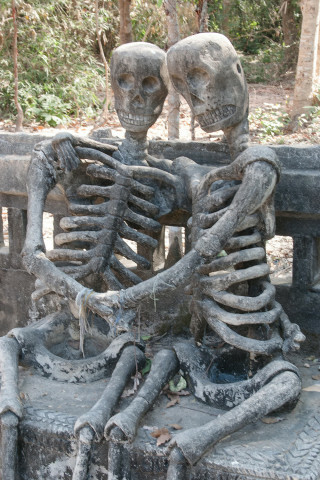 Photo Art – ‘Til Death Do Us Part? September 11, 2017 / montanaron / Comments Off on Photo Art – ‘Til Death Do Us Part? 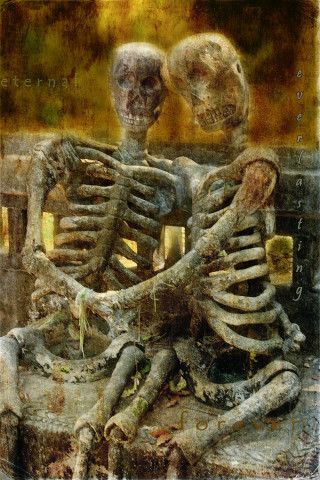 My latest, somewhat gruesome, creation — ‘Til Death Do Us Part? The photo I based this on was taken in Nong Khai, Thailand, at the Sala Keoku (approximately pronounced sala kaw que) sculpture park, a fascinating place to visit just outside of Nong Khai. Below is the original photo, followed by the new creation. In Sala Keoku sculpture park near Nong Khai, Thailand. The new creation. Added some grunge layers, colors and text. Ok, back to work. Not only working on some more photo artistry (though it’s more like play), but also back to work at school, after a five-week break. Breaks are nice, but they’re unpaid, so gotta make some more money. More later.